The agreement calls for Plymouth State to deploy SAFARI C(Cubed) to a pilot group of faculty, administration and students, as part of a comprehensive evaluation of Voice over Internet Protocol (VoIP) technologies. SAFARI C(Cubed)'s unique architecture will enable Plymouth State to support SIP-based residential devices in dormitories and TDM and VoIP applications for University offices. The trial is the second deployment by Cedar Point in the campus and enterprise VoIP market. Last year, the company successfully conducted a trial with the University of Massachusetts -- Amherst. Subsequent plans are being developed to commercially scale this deployment. Actiontec Electronics announced that K2, a global sporting equipment manufacturer best known for its K2 skis, has installed the VoSKY Exchange gateway in its corporate headquarters to allow Internet-based Skype calls to be routed to and from users’ standard desk phones over the office PBX. The Exchange solution paid for itself in four weeks by enabling free Skype-to-Skype calls between K2 employees anywhere in the world and the main office in Carlsbad, California. Users at K2 headquarters can make Skype calls from their existing desk phones with no need to install Skype client software on their office PCs or use a PC/headset setup during Skype conversations. Users on the road or in satellite K2 offices can call any colleague in the Carlsbad headquarters by clicking K2 headquarters’ main Skype ID through their own Skype-equipped laptops or desktops and entering the appropriate office extension. In both scenarios, calls are free because VoSKY Exchange automatically directs Skype calls to the Skype network. The "going green" movement these days seems to be gaining momentum. More people are buying hybrid cars, wind turbines, and investing in solar power technologies. Ecosphere Technologies debutes its Ecos LifeLink a portable, self-contained micro-utility that helps support off-grid needs including disaster relief and activity in remote locations. A model of the Ecos LifeLink will be unveiled at this week's Cleantech Venture Forum in San Franciso. The Eco's LifeLink solution represents a combination of patent-pending products from EES including the Ecos Power Cube, a mobile solar generator, and the Ecos Com Cube, a wireless communications platform. Deployed as two 20-foot Power Cubes, the Ecos LifeLink meets many growing demands, but the one I found interesting was it's reliable 24/7 communication. Centered around the Ecos Com Cube, the communications control room is equipped with a satellite communications and electrical power management system that leverages the energy generated from LifeLink's renewable energy sources to provide electricity and power a full range of wireless VSAT, VOIP and wireless communications capable of handling thousands of phone calls and offering wireless connectivity for a range of up to 30 miles. Thanks http://www.cier.ca/goinggreen/ for the going green logo. Lumison, one of the United Kingdom’s most innovative business-class Internet Service Providers last night announced as the winner of the Best Internet Telephony Service at the 2007 ISPA awards amidst stiff competition. The ISPAs are the UK Internet industry awards presented to people and organisations within the industry by their peers. The prestigious awards recognise and reward the best of the Internet industry and celebrate innovation and best practice, acting as a showcase for the best providers in the sector. TARGUSinfo has become the leading provider of caller name information for the nation's cable voice and voice over IP (VoIP) providers, including four of the top six cable companies. TARGUSinfo provides caller-name (or CNAM) data for approximately 75 percent of the roughly 10 million U.S. cable voice and VoIP subscribers, according to industry statistics and proprietary TARGUSinfo information. The company's uniquely accurate CNAM data enables these providers to offer superior Enhanced Caller ID services as well as call detail services that transform subscribers' phone bills into powerful marketing tools. TARGUSinfo's approach to CNAM enables cable and VoIP providers to deliver more than the 15-character limit on traditional Enhanced Caller ID. In addition to a full caller name, providers can display full phone number and location information for their subscribers. TARGUSinfo data also makes it easy for VoIP providers to deliver CNAM to the PC, laptop or TV set. deltathree has acquired the service provider and consumer businesses of Go2Call.com. deltathree signed a definitive agreement to purchase these businesses from Go2Call on February 17, 2007. The transaction closed on February 19, 2007. Under the terms of the agreement, deltathree acquired Go2Call's consumer and service provider businesses as well as key components of their regional infrastructure worldwide. With the addition of Go2Call's customer accounts, deltathree strengthens its service provider and consumer channels while expanding its presence to new regions of the world. The consideration for this transaction includes a combination of cash and shares of deltathree, Inc. common stock. Additional details regarding the transaction will be disclosed by deltathree in its filing of a Current Report on Form 8-K with the U.S. Securities and Exchange Commission. Skype has released details of its Skype Pro service in Europe. Skype Pro costs £1.50 a month with an £8 introductory fee for the first five months of service, while the connection fee per call is 3.3p. Britain users will be able to talk for free to landlines in the UK. Users who sign up receive a number of discount opportunities that include: £16 on SkypeIn numbers and £4 in credit. Additionally new Pro users are offered a £21 discount on the Philips VoIP 841 phone and a £7 discount on an SMC WiFi phone. The rumors and whisperings have finally come true--XM Satellite Radio and SIRIUS Satellite Radio today announced that they have entered into a definitive agreement, under which the companies will be combined in a tax-free, all-stock merger of equals with a combined enterprise value of approximately $13 billion, which includes net debt of approximately $1.6 billion. Now the big question is, will the merger be approved? The transaction is subject to approval by both companies' shareholders, the satisfaction of customary closing conditions and regulatory review and approvals, including antitrust agencies and the FCC. The issue is that the FCC has already hinted that it might not approve a merger of the two satellite giants. Pending regulatory approval, the companies expect the transaction to be completed by the end of 2007. Mel Karmazin, currently Chief Executive Officer of SIRIUS, will become Chief Executive Officer of the combined company and Gary Parsons, currently Chairman of XM, will become Chairman of the combined company. voip.com announces the launch of their Enterprise grade International wholesale rate service. Aimed at saving businesses money and streamlining the billing process, voip.com's new offering gives businesses a powerful new communication tool. Companies that sign up for the service gain access to international long distance at wholesale rates; typically 30% - 70% less than traditional carriers charge. Flexible and non-restrictive, voip.com's International wholesale rate service lets businesses take advantage of this cost saving solution without having to be locked into restrictive term or volume contracts. The service can be used from multiple locations by multiple users and provides robust, 24-7 customer support from a stateside call center in Valdosta, GA.
KeyOn Communications is now the United States' leading provider of wireless broadband and voice-over-IP (VoIP) services in small and rural markets with its recent acquisition of SpeedNet Services, a Midwest-based wireless broadband company. This continued consolidation by KeyOn bridges the country's communication divide through the creation of the largest rural, wireless broadband company in the nation, covering a dozen states: Nevada, Idaho, Colorado, Iowa, South Dakota, Nebraska, Kansas, Oklahoma, Texas, Illinois, Indiana and Ohio; with a network footprint of over 45,000 square miles. The purchase of SpeedNet comes after KeyOn's recent completion of two successful acquisitions: Southern Iowa Regional Internet Services (SIRIS), an Iowa wireless broadband provider; and a wireless broadband market in Pocatello, Idaho, from FairPoint Communications, Inc.
KeyOn uses both licensed and unlicensed spectrum to deliver broadband and VoIP services to non-metropolitan and rural communities using the highest quality and most cost-effective technology platform available. KeyOn intends to introduce enhanced services into its wide-reaching network by leveraging new technological standards such as WiMAX. KeyOn's geographically sweeping networks are managed with the company's scalable, proprietary BrightEDGE Manager Operating Support System. Frost & Sullivan selected AT&T as the recipient of the 2006 Frost & Sullivan Award for Market Leadership in enterprise Wide Area Network (WAN) services in recognition of its ability to achieve a leading position among network operators, as well as market and technology innovation. "AT&T has been innovative with the range of Global Enterprise WAN services offered, the reach of these services, and the technologies offered," said Frost & Sullivan research analyst Maria Zeppetella. "The company's goal is to be the 'provider of choice' serving MNCs' and governments' global needs for competitive, flexible, and integrated WAN solutions that span the globe." Digium the Asterisk company, has more than doubled its presence at Spring VON, through the addition of new exhibiting partners, and the creation of the Digium Theatre on the VON show floor. As a result, the Asterisk Pavilion now occupies 5,000 sq. feet of exhibit space, representing the largest single entity in the VON Expo. More than a dozen Asterisk partners are showcasing their wares in the Asterisk Pavilion, including: Aspect Software; Intel Corporation; LumenVox; Switchvox; TransNexus; VoicePulse; Polycom; Simple Signal; and others. AccessLine announced its SmartVoice Service for business has increased the availability of local numbers in key metro areas throughout the Pacific Northwest. This enables a small- to medium-size business using SmartVoice Service to develop a virtual presence almost anywhere in the Pacific Northwest by providing its customers local phone numbers. It is a cost-effective and convenient method for enhancing a business’s customer service while simultaneously taking advantage of the cost savings of VoIP through lower long distance toll rates. Raketu announces the immediate availability of its Japanese language version. Currently, all pre-paid customers of Raketu’s "RakOut" dial-out voice over IP (VoIP) service enjoy free calling to over 40 countries. This same service offer will now be available for Japanese speaking consumers, wherever they live in the world, as all calls to locations in these countries are free regardless of where they originate. Raketu is now available in English, Czech, Russian, Chinese, and Japanese. The Spanish language version of Raketu will be released next week. Comtrend, announces an all-in-one IAD (Integrated Access Device) for home or office use that brings unparalleled convenience and performance to digital communications. 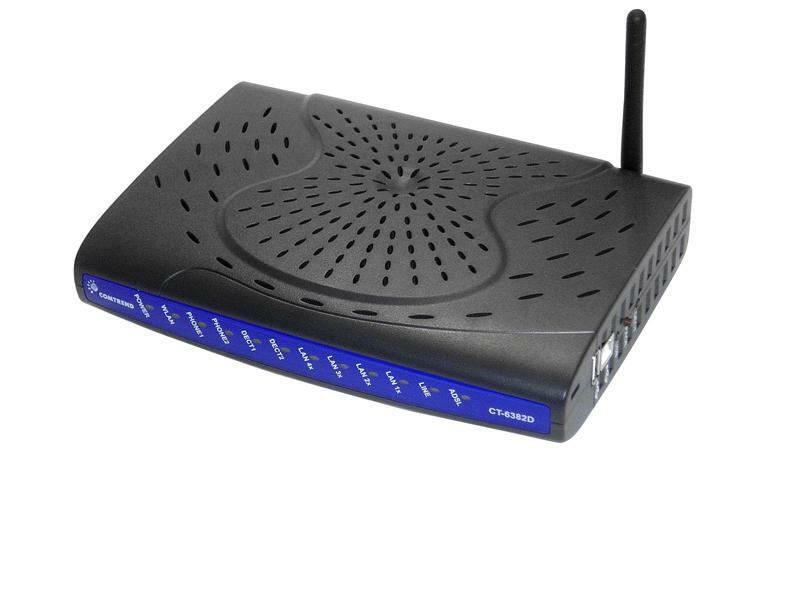 The new CT-6382T IAD offers WiFi-compatible WLAN Internet access, VoIP local/long distance phone calling with conventional PSTN phone backup, cordless phone connectivity using DECT technology and much more—all delivered via high-speed ADSL2+ standards over a standard phone line. For the service provider, the CT-6382T provides exceptional deployment and management support. The device is TR-68 compliant, making it possible for end users to easily install and configure the unit themselves. 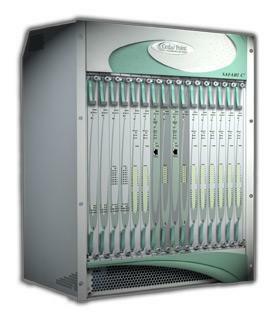 The CT-6382T is also TR-69 compliant for simple remote management and configuration by the service provider.